I was vegan before vegan was cool is what Leanne Mai-ly Hilgart can say. That’s because she is one cool vegan chick and a rising fashion designer. I had the opportunity to meet Leanne in New York a little over a week ago while attending the Main Street Vegan Academy. If you have not heard of Leanne yet trust me you will. She is the designer behind VauteCouture a hip little boutique a stones throw from Manhattan in the hipster laden city of Williamsburg Brooklyn. 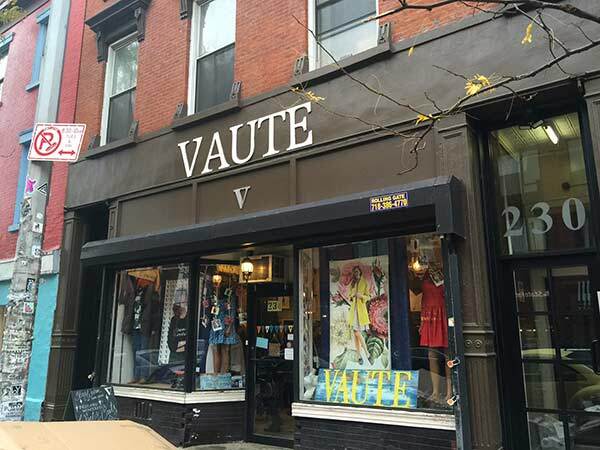 A stroll down Grand Street in Williamsburg and you will see VauteCouture the hip little shop painted black on the outside and oh so very cool on the inside. I loved the decor of her shop, very hip and alive you felt the artist coming out of you just being in this cool environment. 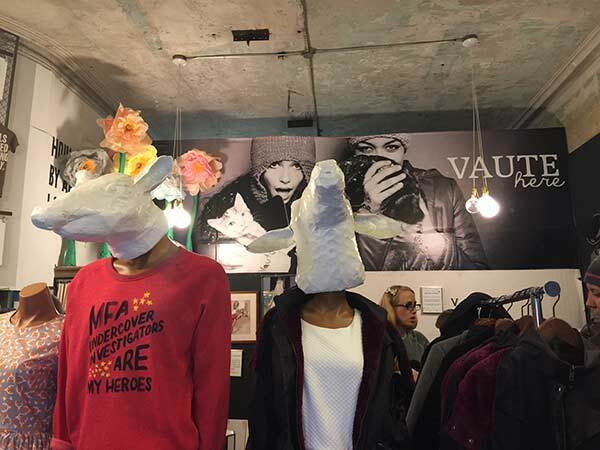 VauteCouture is packed with hip and stylish fashion all animal free. Leanne Mai-ly Hilgart is “the Rebel of Fashion Week” (CNN Breaking News). Those who claim you can’t be vegan and be in fashion have a lot to learn and should pay VauteCouture a visit or click on over to their website at www.vautecouture.com. As a guy in a women’s boutique I thought I would be bored out of my mind. That could not have been further from the truth. Leanne took about an hour out of her busy day and gave us the complete rundown of how she got started and where she wants to take her line. It was a true real world inspirational story of believing in a cause and creating a amazing business out of it. And trust me when I say her designs stand alone. 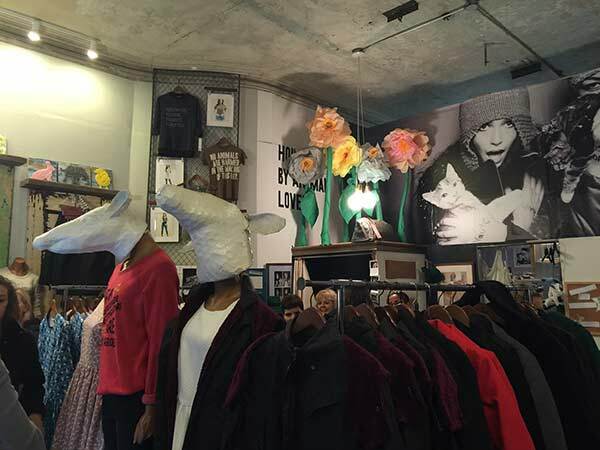 Stylish coats, dresses, blouses and hats coat the walls of this New York fashion designers world. My favorite was the waxed canvas jackets that have a worn leather appearance. Mainly for women VauteCouture does have a very small mens department offering a few t-shirts and jackets. But for vegan women it’s a fashionistas dream come true. Fashion design is one of the toughest businesses to break into, it’s a cut throat industry but VauteCouture is breaking barriers. Remember her name Leanne Mai-ly Hilgart because it’s not the last time you will hear it.